This post is brought to you by ATGStores.com. Our home was built in 1916, though it doesn&apos;t feel like it&apos;s one hundred years old. The interior is modern and fresh, with an open floor plan, lots of light, and compelling architecture. But up until recently, the same couldn&apos;t be said of our exterior space. It felt disjointed, dated, and unusable, made all the more clear once we had Sloan. 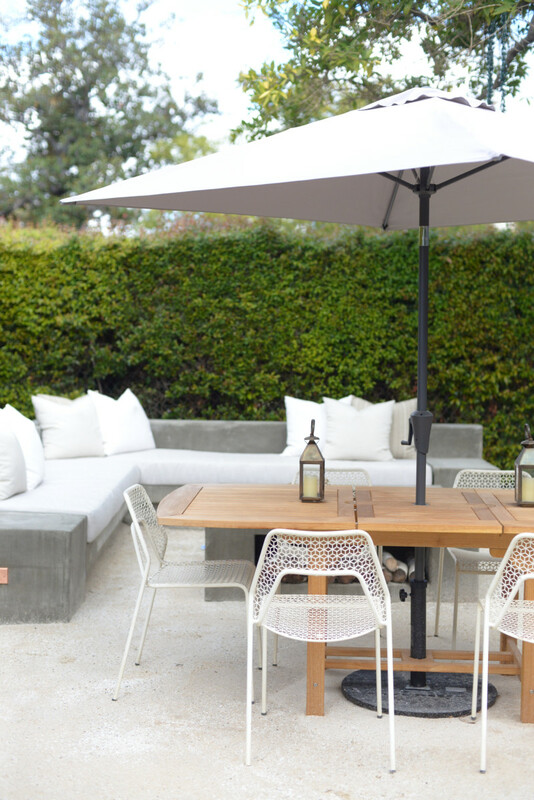 We wanted to update the outdoor area to feel like an extension of our living room, where we could gather with friends and family and take advantage of L.A.&apos;s warm weather. 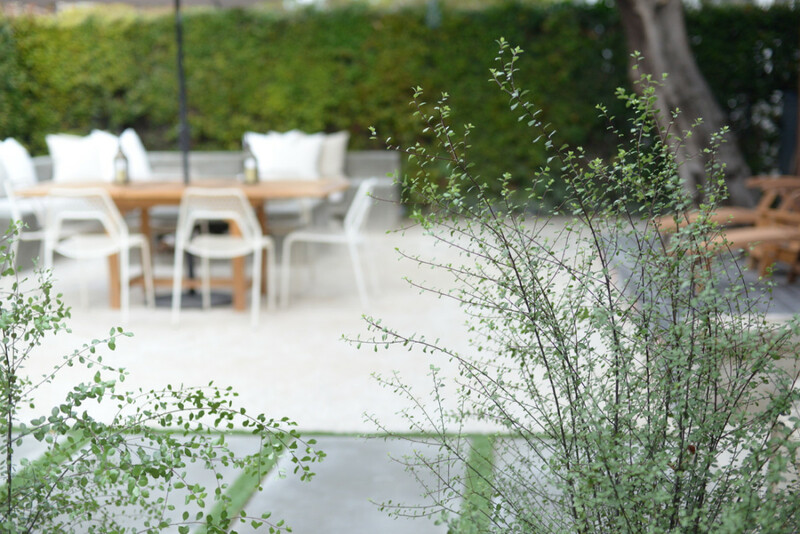 Starting the process was daunting, but we were able to work with a great partner, ATG Stores, which carries everything you&apos;d need to decorate your outdoor (or indoor) space, from lighting fixtures and furniture, to outdoor kitchen equipment and kid&apos;s play sets. 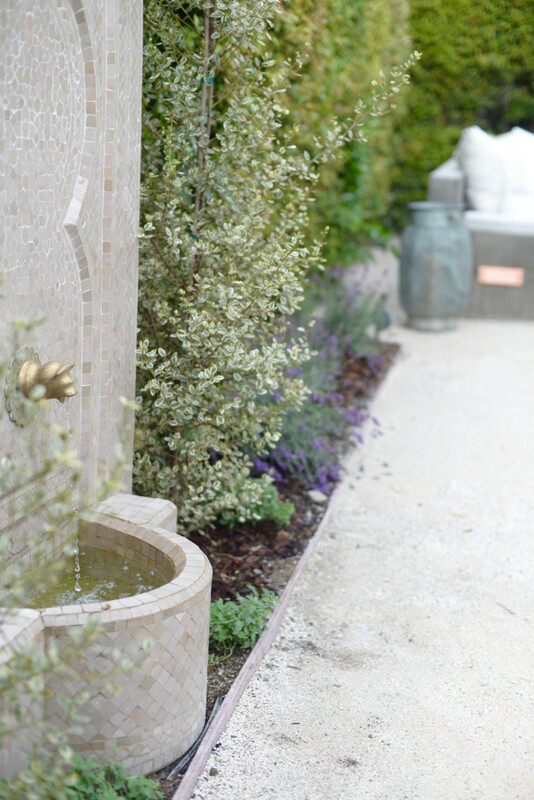 Their selection is massive and while combing through the online catalog, it became clear they were the perfect resource for moving beyond a simple outdoor refresh and truly transforming the area into something special. 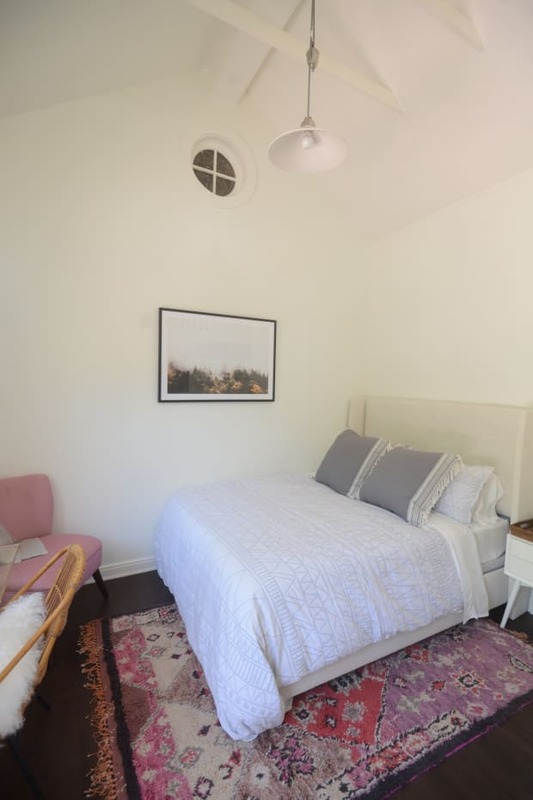 I enlisted the help of Thea Segal and Dorianne Passman, of Thea Home Inc., to design a tranquil, refined, and comfortable space. 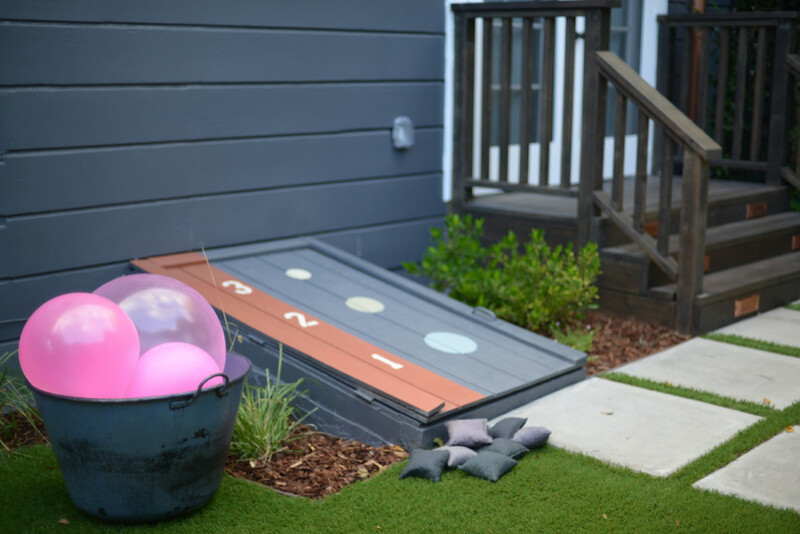 We divided the project into three main sections: the front, side, and back yards, with the goal of creating an entertaining space, an outdoor kitchen, and a play area for Sloan, respectively. As I&apos;ve mentioned before, Thea and Dorianne have unparalleled taste and they managed to transform a small, awkwardly shaped exterior into one that feels expansive, elevated, and most importantly, functional. Using items almost exclusively from ATG Stores, we now have an outdoor space that feels like a reflection of our interior. After sharing a few sneak peeks on Instagram, I&apos;m excited to finally reveal the finished project, along with the design insights from the team. 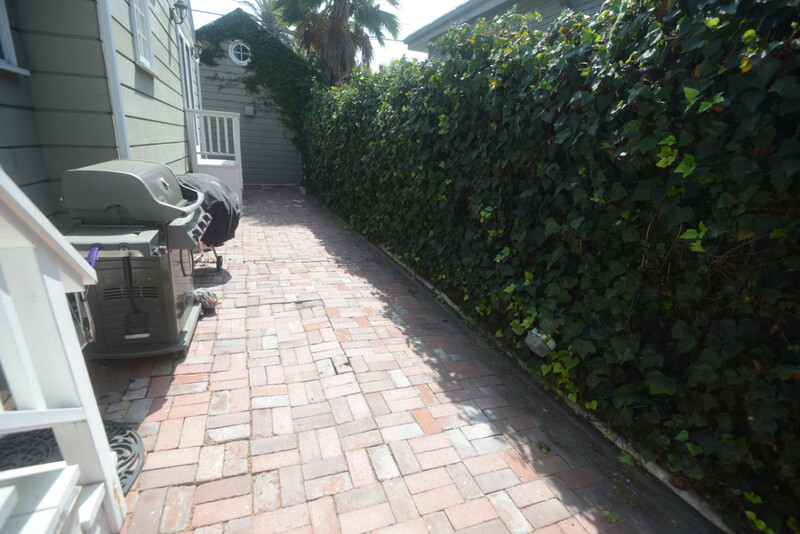 The driveway was narrow and spilled out onto a brick path that hugged the house, which made for an underwhelming entryway. 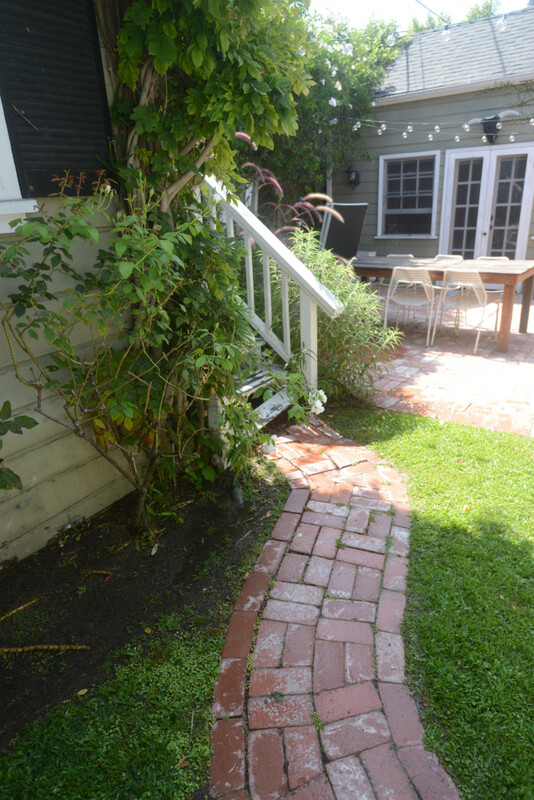 We swapped out the bricks in lieu of concrete pavers and added steps (flanked by two planters) to create more of a formal pathway to the front door. 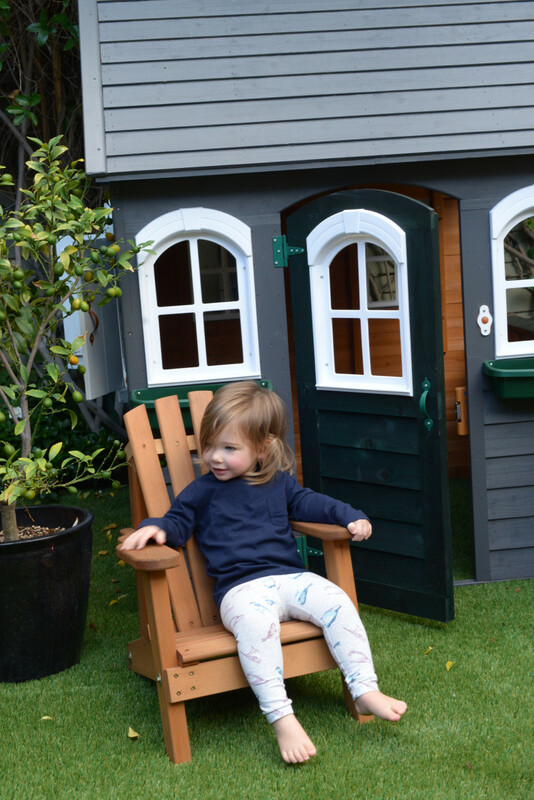 We also added a deck where we now have steamer chairs for G and me and a baby one for Sloan. They felt a little more sleek than our previous white Adirondack rocking chairs, but are just as comfortable. Our house had been a muted sage green, which we painted slate gray. I worried that a dark color would make the house seem smaller, but instead it made it look sleek and modern. 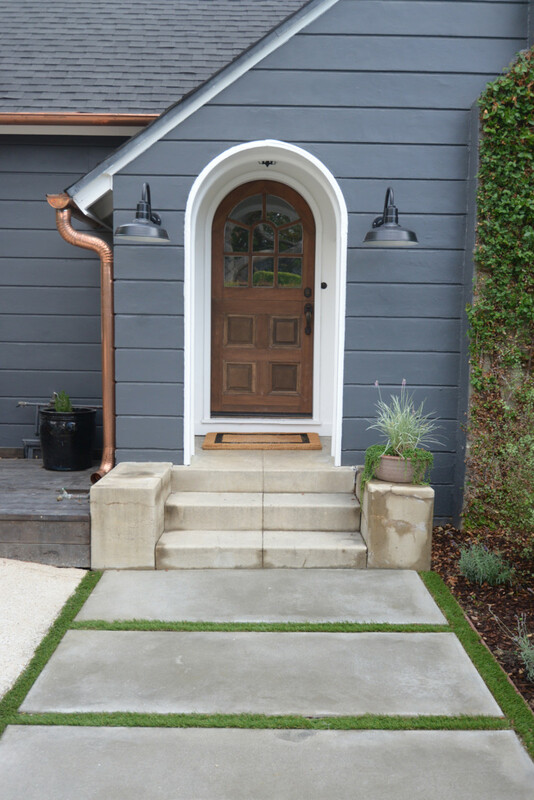 We also swapped out the white gutters for copper and added a second light fixture by the front door to create a more balanced entryway. Our previous sconces had an old-fashioned look to them and these light fixtures instantly made the space feel grounded and intentional. Also, never underestimate the effect a properly sized doormat can have (our old one was about a foot too small, width-wise). 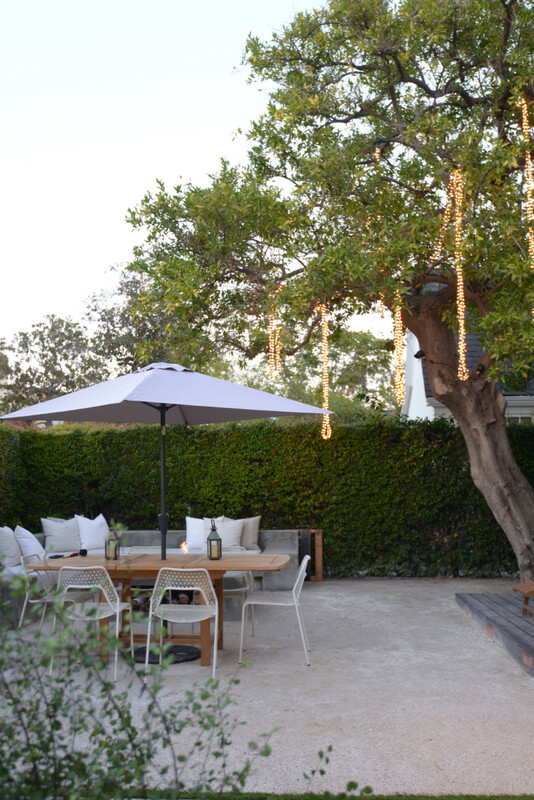 Our front yard is enclosed, so we wanted to create an area where we could entertain. 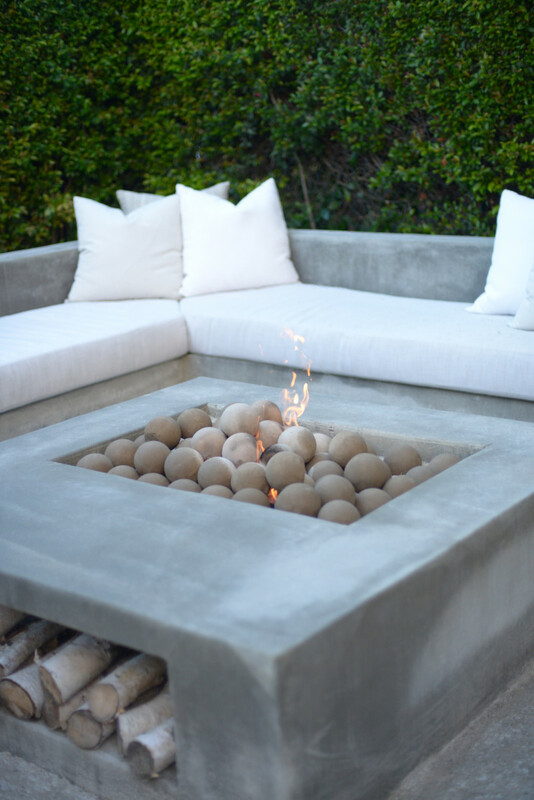 Thea designed the concrete fire pit and sectional, which has become our favorite spot to lounge. It&apos;s a cozy place to hang after dinner and also an ideal spot for roasting s&apos;mores with friends (and coworkers). 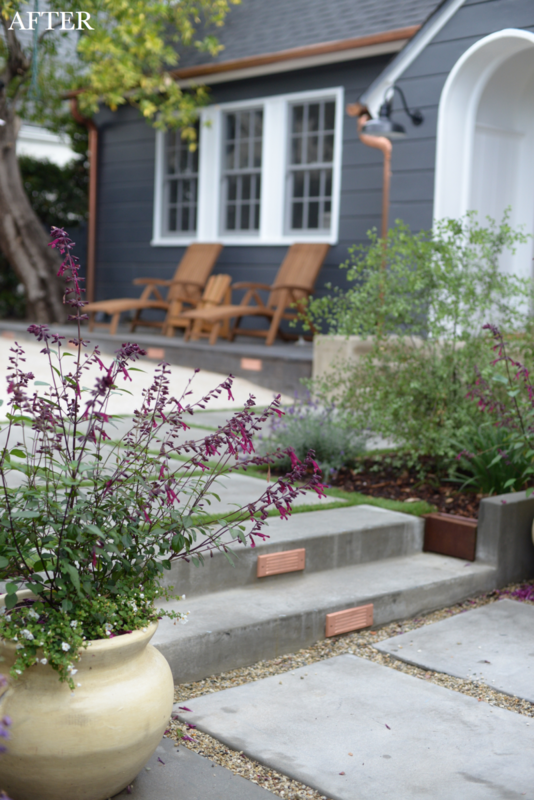 We placed plants along the entryway path in order to block the view of the cars in the driveway while adding a little greenery back into the space. 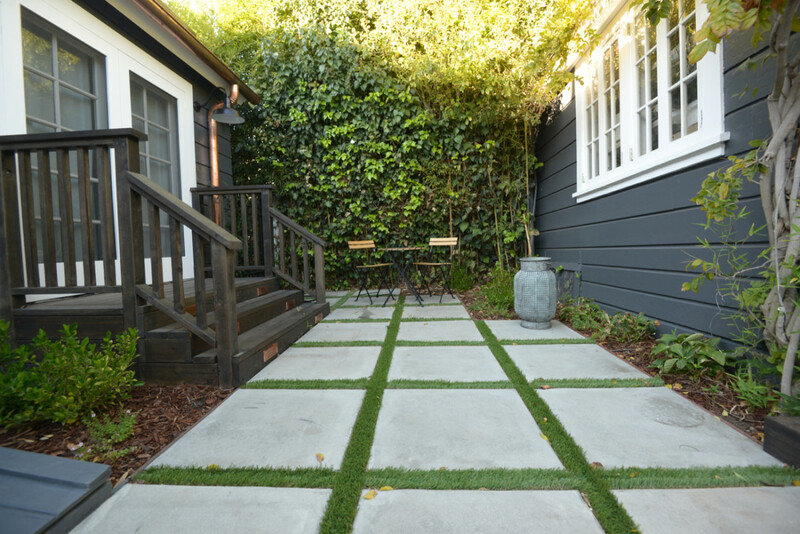 Based on the current drought in California, we got rid of our lawn and replaced it with decomposed granite and artificial turf in between the pavers. 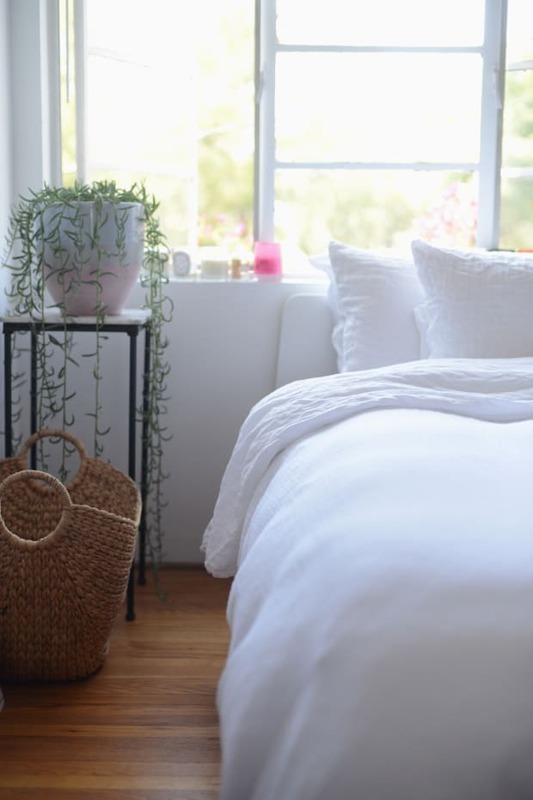 Besides being much more water conscious, it creates a clean, serene vibe. We used to have a table in the back yard, but since the kitchen is located in the front of the house, it was inconvenient to go back there with food. 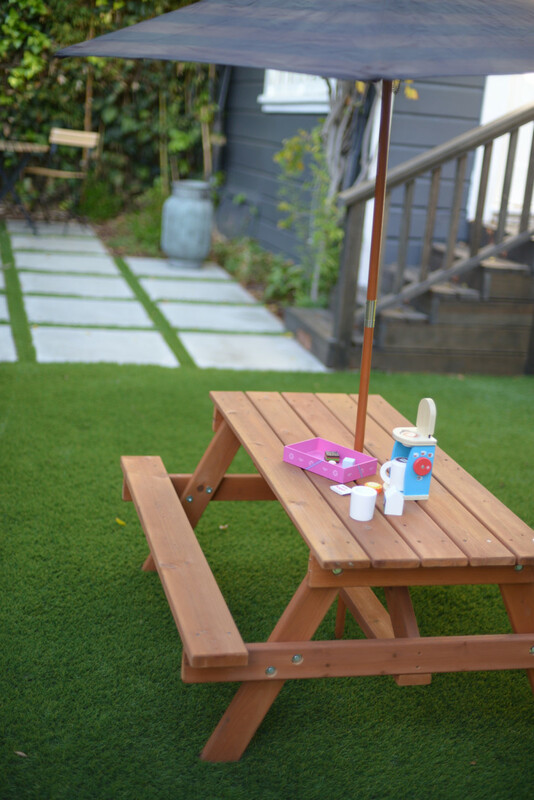 It meant either going around the entire house or through Sloan&apos;s room, neither of which made sense, so we added this table and umbrella to the front yard using chairs we&apos;ve had for years. Given the proximity to the kitchen, we&apos;ve now been eating lunches and dinners outside on a daily basis. 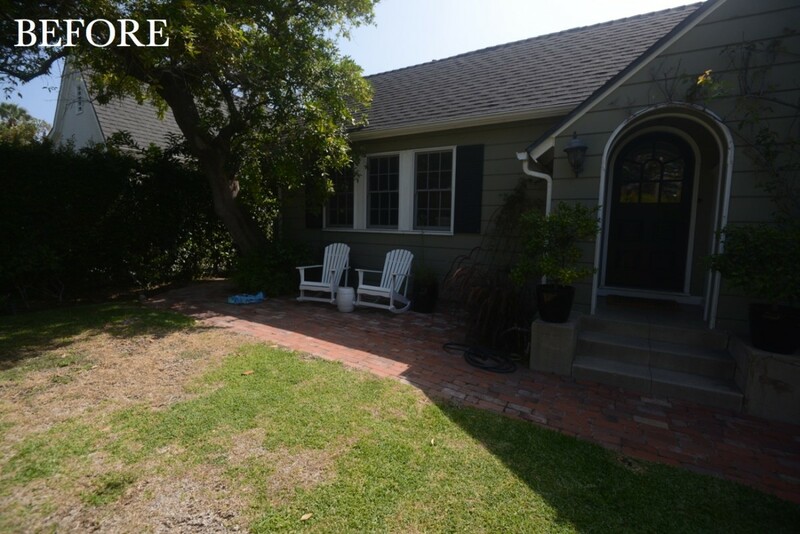 Our old front yard was divided into sections: overgrown plants, parched grass, and brick. That separation made the small space feel even more cramped and awkward to use, which is why we rarely spent time there. We&apos;d had an old fountain taking up a lot of room and swapped it out for this sleek, Moroccan piece that adds nice ambient noise to the space. 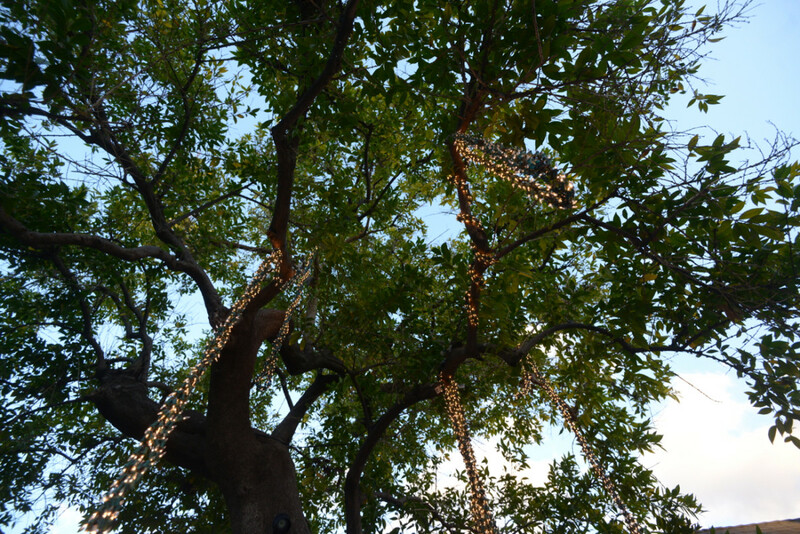 In order to add light and a touch of whimsy, Dorianne suggested draping these cluster lights from the tree. It creates a magical look at night and is so pretty when sitting out by the fire pit. 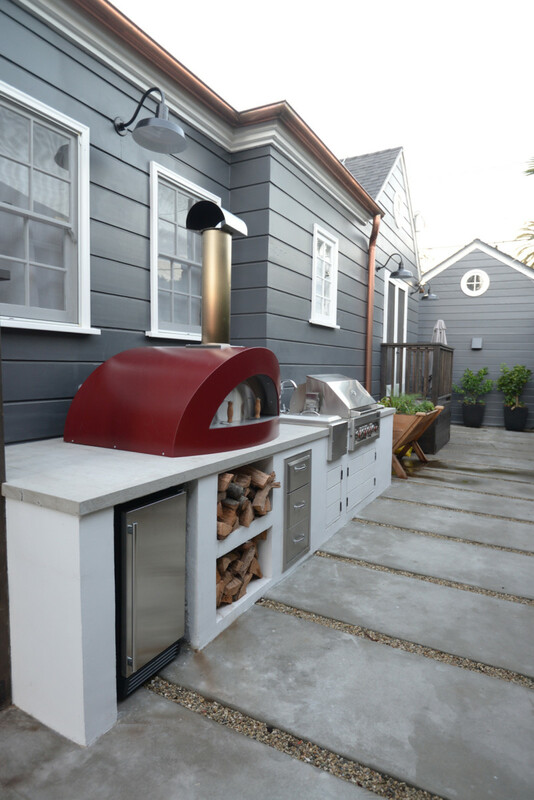 The side of the house is narrow and long, which made it an ideal space to create an outdoor kitchen. We both love to cook, so the entire area is set up to make food prep seamless and simple. We&apos;ve been using the grill non-stop and having pizza nights with friends on a regular basis. Since we&apos;re home a lot more than we used to be before Sloan, it&apos;s nice to feel like we&apos;re leaving the house without having to actually go out. 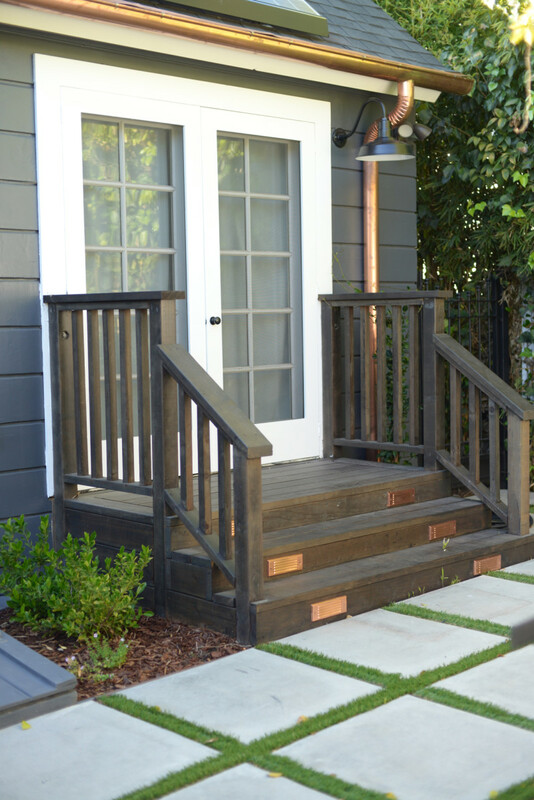 We knew our budget for this renovation would add up quickly, but that the investment would add value to our home. Considering the amount we were spending, we wanted to ensure all of our purchases were protected, so we put everything on our American Express Platinum card. We&apos;ve both been card members for over a decade and I&apos;ve been an #AmexAmbassador for the past year. Their service and product protection is second to none and knowing that every item is covered against damage for the first 90 days provided some peace of mind when making some of these larger purchases. I have a bit of a black thumb and typically manage to kill even the most sturdy of plants. 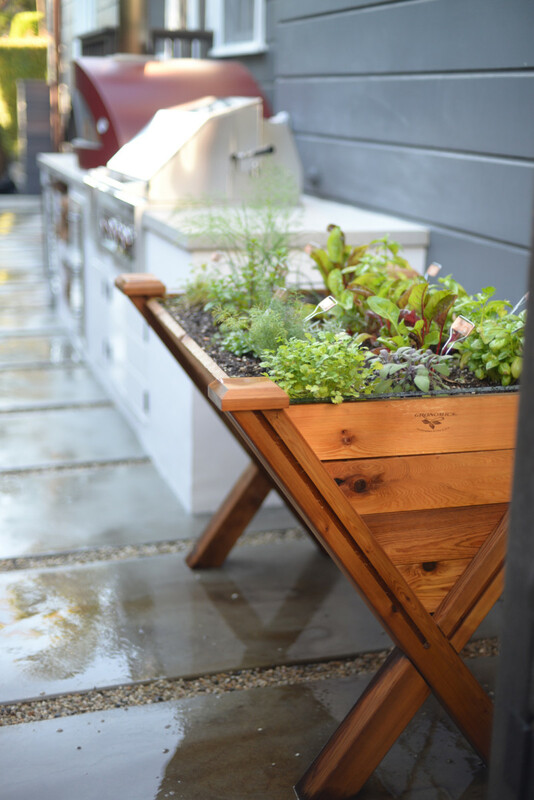 The nice thing about the herb garden we created is that everything is easy to access and that a watering system makes it nearly fool-proof. It&apos;s also made me that much more inclined to add greens to just about everything we make—especially when it involves picking basil to add on top of margherita pizzas. 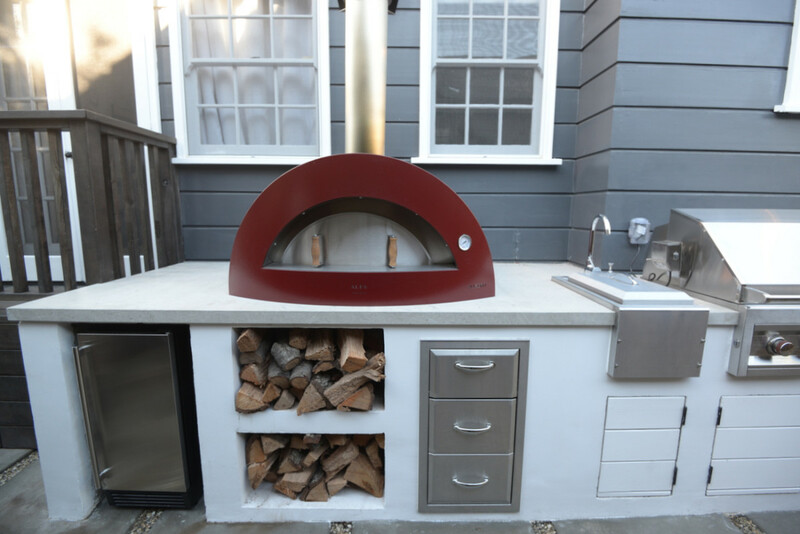 Thea and Dorianne designed our outdoor kitchen using all ATG products, aside from the concrete base, which we had custom-made to fit. I love the cut-out space that leaves room for fruit woods that we have on hand for the pizza oven. 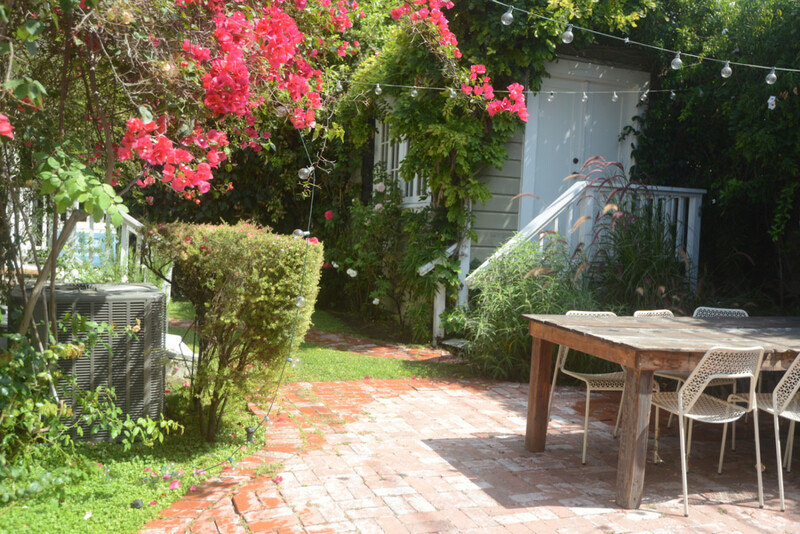 The back yard used to have a sort of English cottage vibe that I didn&apos;t mind, but it wasn&apos;t well laid out. 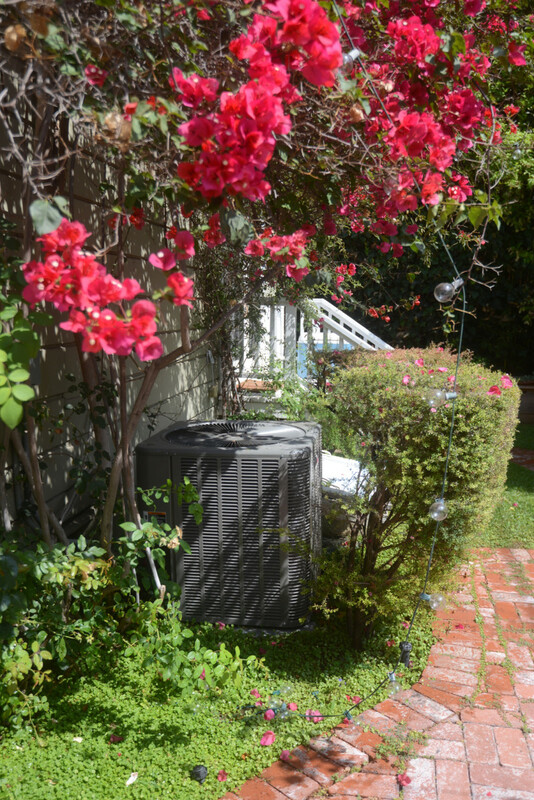 Our air conditioning unit took up a lot of space and made it nearly impossible to carry on a conversation since it was so loud. 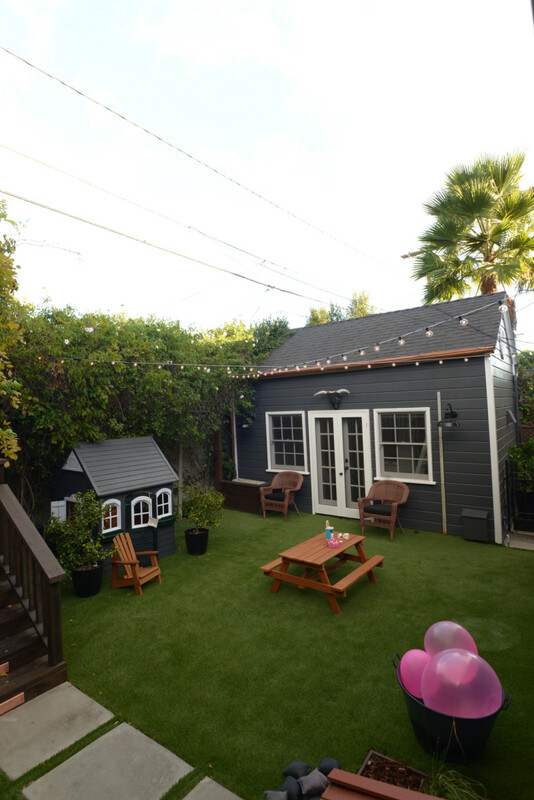 We moved it to the roof, which opened up the space beautifully and removed the bricks and grass to create a single surface. We added new staircases and a little deck outside of Sloan&apos;s room to help differentiate the play area. Thea and Dorianne had the idea to stain the stairs rather than keeping them white so that they blend into the landscape and disappear rather than feel like an extension of the house, which helped to make the back feel even bigger. 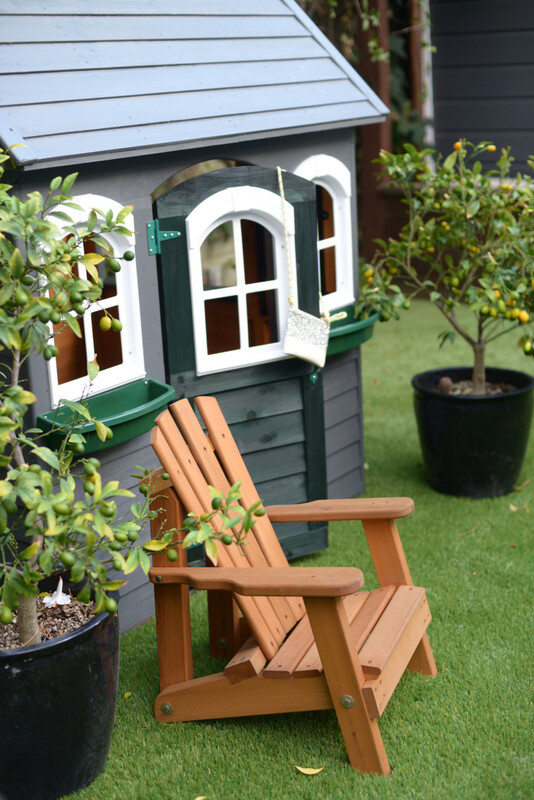 The kumquat trees that used to be outside our front door now flank Sloan&apos;s playhouse. We painted it the same colors as our home so it looked cohesive and elevated. She loves having an area that&apos;s kid-friendly and asks to go outside pretty much as soon as she wakes up. Even though the back yard is for Sloan, we placed a bistro table set in the corner where G and I can drink our coffee while she plays. It&apos;s nice that it&apos;s away from her general area, but close enough to keep an eye on her. Before our renovation, we didn&apos;t have a play area for Sloan outside, which meant we had to go to the park if we wanted her to run around. 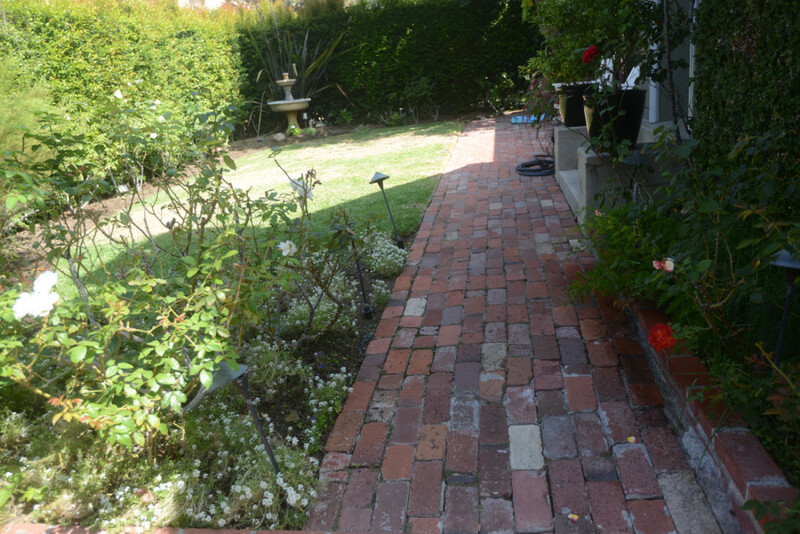 Thea designed two beautiful wrought iron gates on either side of the house to ensure she has her own enclosed space. We couldn&apos;t move the entrance to our basement (which, for the record, totally creeps me out), so we decided to embrace it by painting a beanbag game on top. We also corral Sloan&apos;s balls into a large bucket so the entire yard isn&apos;t overrun with toys. Sloan still is a little awkward getting in and out of her picnic bench, but it&apos;s the perfect spot for when she wants to color or have lunch in the shade of the umbrella. 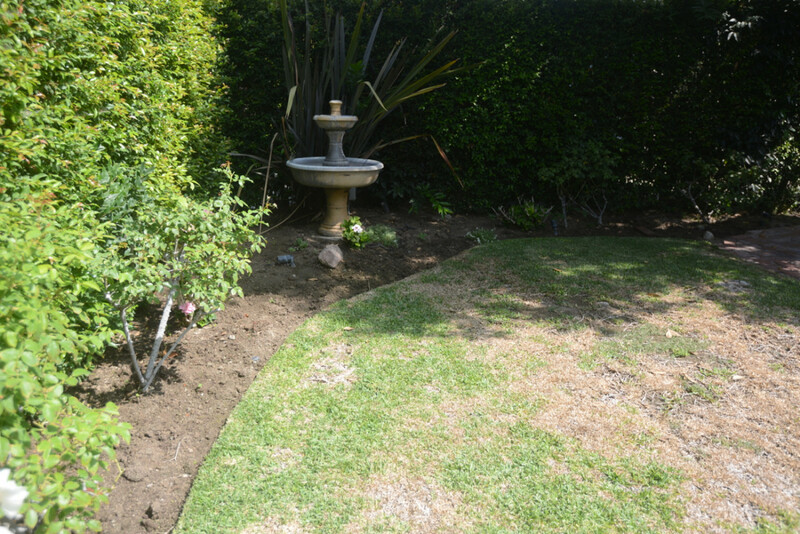 We kept the landscaping in the back yard to a minimum, adding plants that would smell good (lavender and gardenias) and nice flowers for arrangements (hydrangeas). 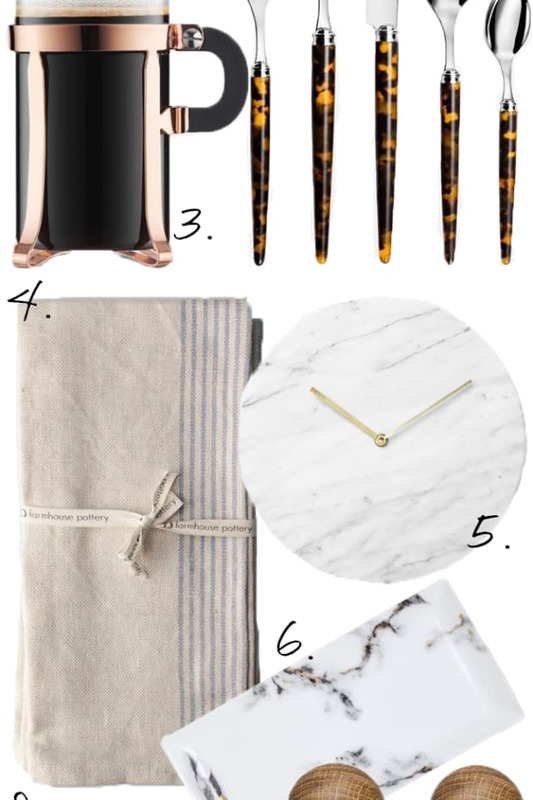 Designers: Dorianne and Thea of Thea Home Inc.